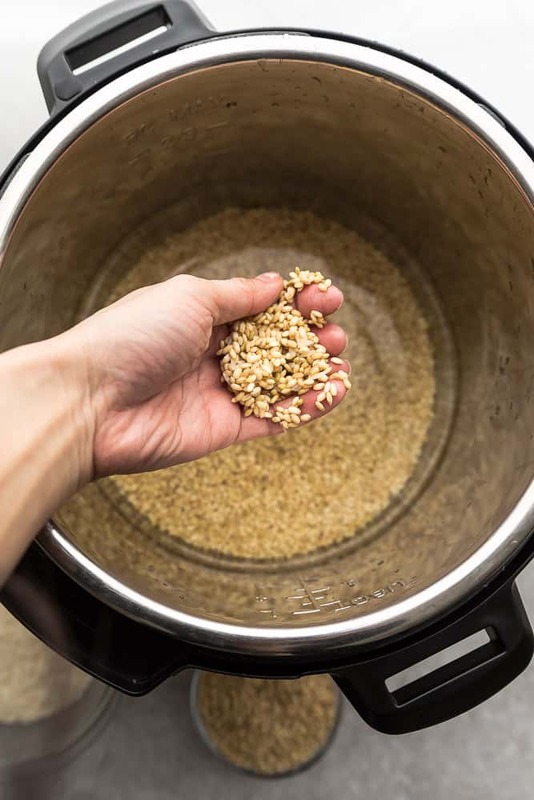 Learn how to cook white or brown rice perfectly in an Instant Pot electric pressure cooker. Fail proof recipe and so easy to make. 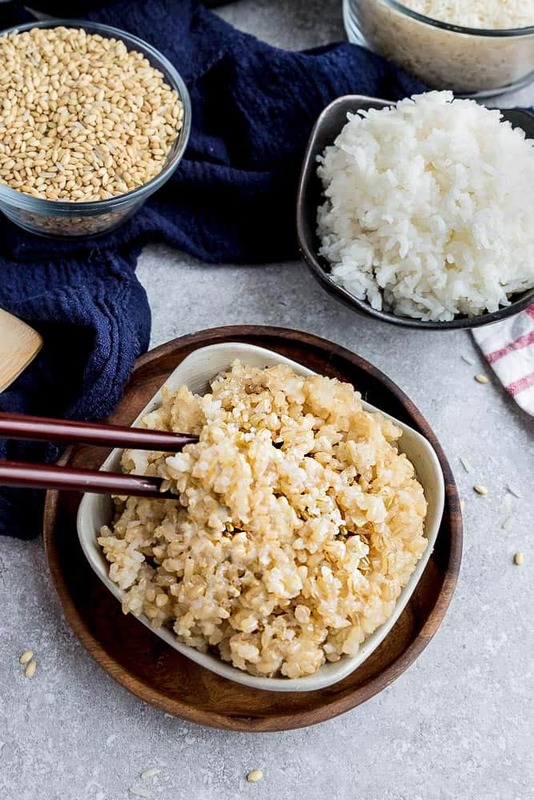 Growing up in a typical Asian household, rice was an absolute staple at our dinner table. My brother and I would take turns making rice using our rice cooker back then. 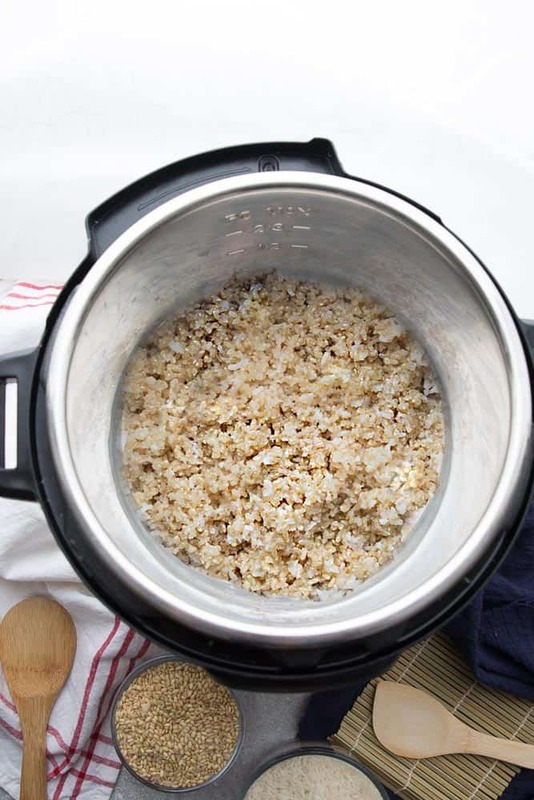 And since I’m a big fan of making basic staples like oatmeal and eggs in the Instant Pot — I’m sharing my method of how to cook rice perfectly in an Instant Pot. The best part about Instant Pot rice is that it’s almost completely hands-off. No more standing around by the stove and waiting for the water to boil. You simply rinse the rice (to remove the excess starch), add water and set and forget. So easy right? For long-grain white rice (rinsed) like Jasmine or Basmati, the ratio is 1:1 (equal parts water and rice). Cook time is 3 minutes at HIGH PRESSURE with a natural release (about 15-20 minutes). For long-grain brown rice (rinsed), the ratio is also 1:1. Cook time is increased to 22 minutes at HIGH PRESSURE with a natural release (about 15-20 minutes). 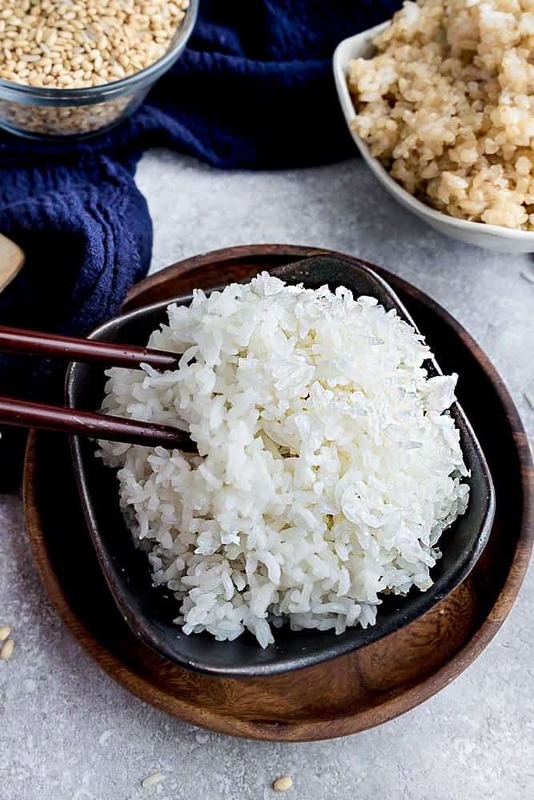 SHOULD I RINSE RICE BEFORE COOKING IT IN AN INSTANT POT? Yes. It’s important to rinse rice with water before cooking. You can rinse it using the inner pot of the Instant Pot. Just add the rice, run under cold water and rub the rice together using both hands. This will get rid of excess starches on the surface and prevent the rice in becoming gluey. 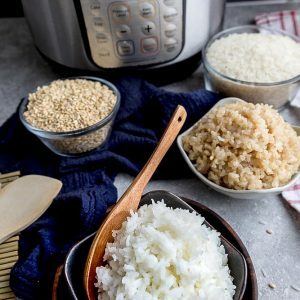 CAN I DOUBLE THE INSTANT POT RICE RECIPE? Yes, absolutely! Just remember to use the 1:1 rice to water ratio with the same cooking time. 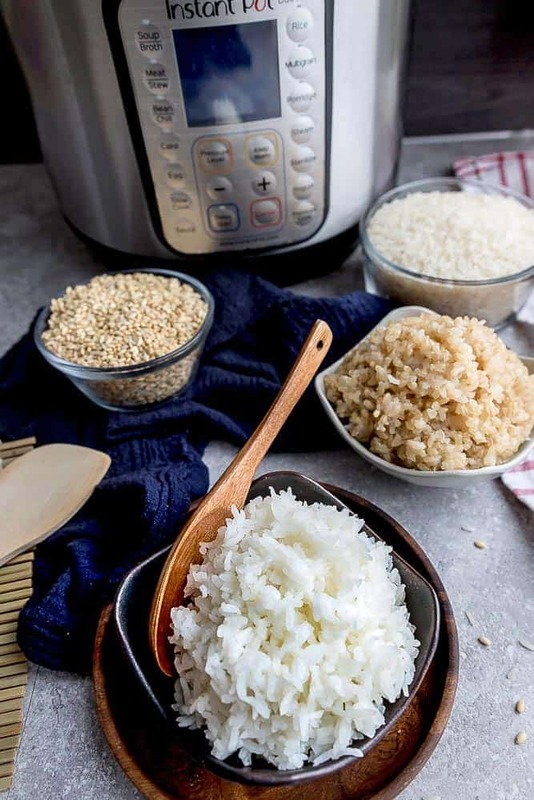 Instant Pot Rice - how to cook rice perfectly in an Instant Pot pressure cooker. Fail proof and so easy to make. This method works for white rice or brown rice. Lightly coat the bottom and the sides of the inner pot of the Instant Pot with oil (this prevents sticking). Measure rice into a large colander or bowl and rinse under cold water. Gently rub rice together with your fingertips. Drain and continue rinsing under cold water until the water is clear. Drain well and add to Instant Pot. Measure out water using the same measuring cup as the rice. Add water to rice. Add a pinch of salt, if desired. Cover and lock the lid. Turn the valve to sealing and press MANUAL/PRESSURE COOK: For White Rice - cook for 3 minutes. For Brown Rice - cook for 22 minutes. Allow the Instant Pot to come to pressure (about 15 minutes) and cook for selected time. 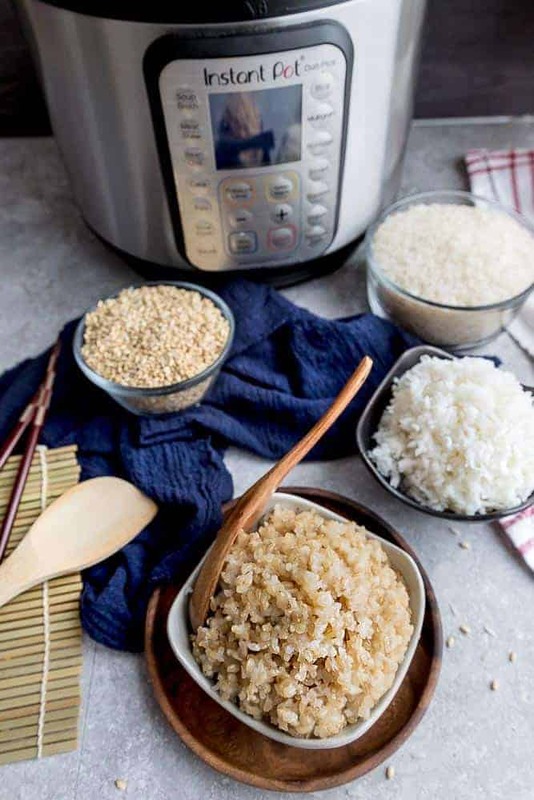 After the selected time and the rice is cooked, allow the Instant Pot to naturally release for 10 minutes. Using a long spoon, release the remaining pressure by turning the valve to venting , then unlock and remove the lid. Store leftovers in a sealed container or zip-top bag in the fridge for up to 4 days or in the freezer for up to 3 months. Be sure to use the same measuring cup you use for the rice and water - this ensures the cook time will be accurate. What a great guide! I can’t wait to try this in our new IP!